I first published this in the summer of 2013. This was an especially meaningful Psalm to me at that time. I haven’t reread it in a while ~ but maybe I should! I hope it’s a blessing to you too. 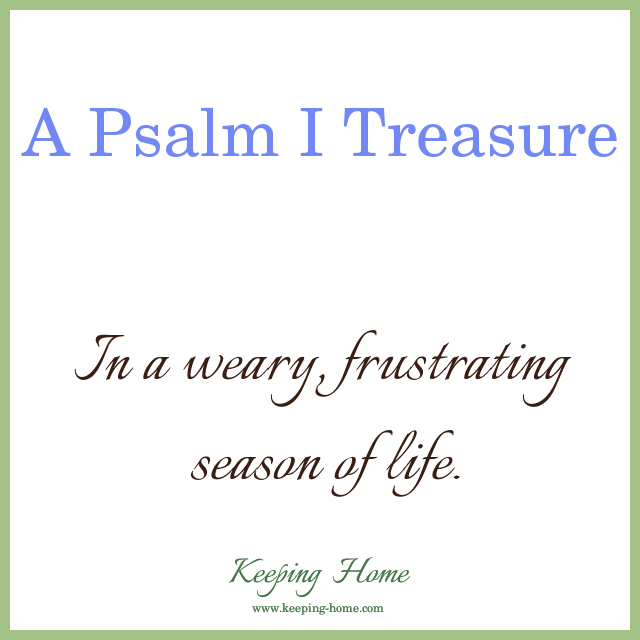 Maybe you are in a similar weary, frustrated season* and this will be a Psalm you can treasure as well. “Come unto me, all ye that labour and are heavy laden, and I will give you rest.” ~ Matthew 11:28. Anyway, on to one of my favorite Psalms. So timely, so many times! 1 Hear my prayer, O Lord, give ear to my supplications: in thy faithfulness answer me, and in thy righteousness. 2 And enter not into judgment with thy servant: for in thy sight shall no man living be justified. 5 I remember the days of old; I meditate on all thy works; I muse on the work of thy hands. 6 I stretch forth my hands unto thee: my soul thirsteth after thee, as a thirsty land. Selah. 7 Hear me speedily, O Lord: my spirit faileth: hide not thy face from me, lest I be like unto them that go down into the pit. 8 Cause me to hear thy lovingkindness in the morning; for in thee do I trust: cause me to know the way wherein I should walk; for I lift up my soul unto thee. 9 Deliver me, O Lord, from mine enemies: I flee unto thee to hide me. 10 Teach me to do thy will; for thou art my God: thy spirit is good; lead me into the land of uprightness. 11 Quicken me, O Lord, for thy name’s sake: for thy righteousness’ sake bring my soul out of trouble. 12 And of thy mercy cut off mine enemies, and destroy all them that afflict my soul: for I am thy servant. What psalm or other scripture do you especially treasure right now? The mission of Keeping Home is to protect and support home, sweet home through encouraging articles, focused projects, wholesome products, and hand holding as necessary. Read more. 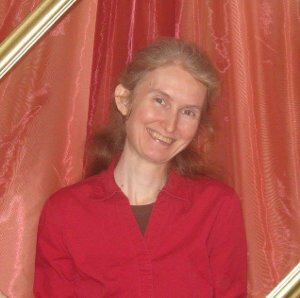 . .
Disclosure: Keeping Home is an affiliate of Amazon.com and others. Please see Policies for more information. © 2018 Keeping Home. All Rights Reserved.